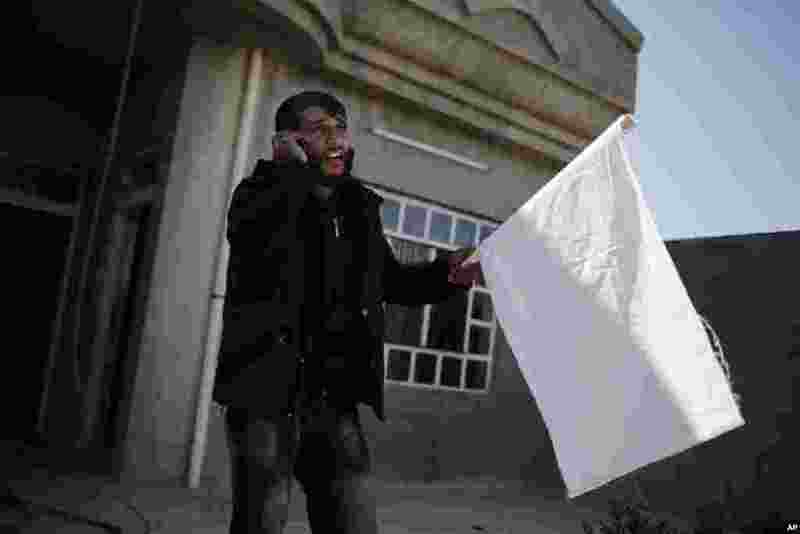 1 A civilian who escaped Islamic State territory phones his family he left behind, in Abu Saif, Iraq. Iraqi forces advanced into the southern outskirts of Mosul in a push to drive Islamic State militants from the city's western half. 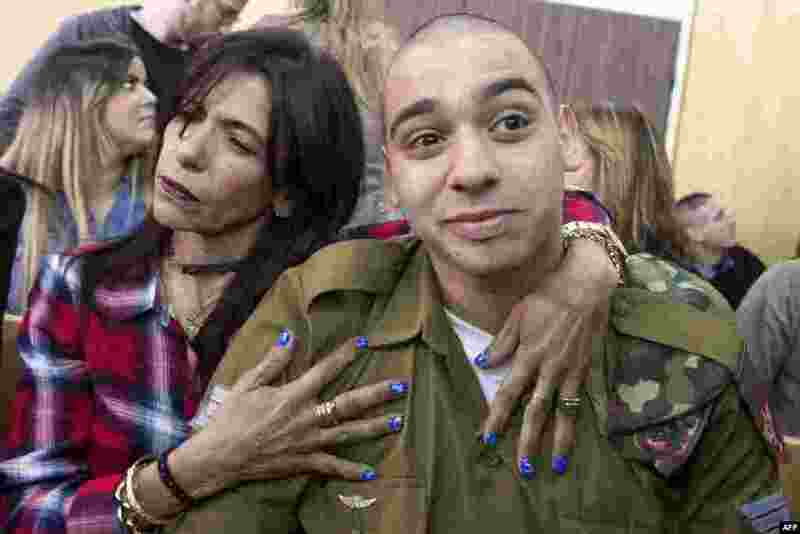 2 Israeli soldier Elor Azaria (R), who shot dead a wounded Palestinian assailant in March 2016, is embraced by his mother Oshra (L) at the start of his sentencing hearing in a military court in Tel Aviv. 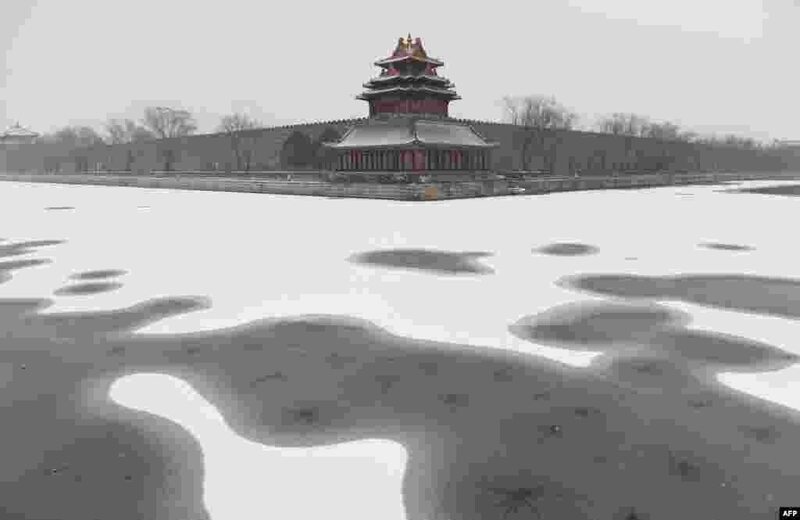 3 Snow is seen in the moat surrounding the Forbidden City during a snowfall in Beijing, China. 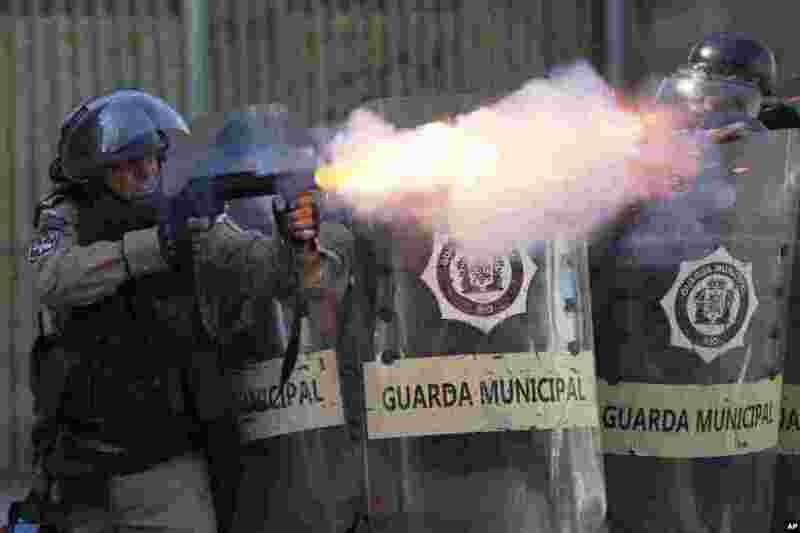 4 A municipal guard fires tear gas at demonstrators during a protest against the state government in Rio de Janeiro, Brazil, Feb. 20, 2017. The protesters denounced a proposal to privatize the state's water and sewage company.